France is our country, horses are our passion ! In 1998, Sabine and Thomas Grataloup created Absolu Voyages, a French travel agency dedicated to nature and traditions discovery tours, and horse riding tours all over the world through the brand Randocheval. Brand of ABSOLU VOYAGES, Ride in France is the result of their passion for travels and horses, which urged them to start this adventure more than 10 years ago, since they have been riding in France for more than 30 years... We have been riding worldwild, and now, with Ride in France, we want to enable riders from all over the world to discover the rich landscapes, riding culture and... French cuisine !!! Both live their daily life with horses, because they are the owners of Ourique and Sueño, Iberian horses living in a large meadow in the countryside, 30 km South of Lyon. They added a new member to their cavalry recently, with their children's pony, Tito! 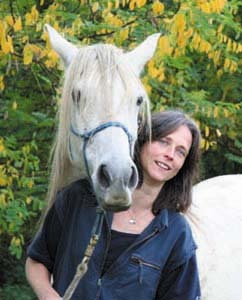 Sabine has been elected as a member of the Federal Directing Comittee of the French Equestrian Federation. 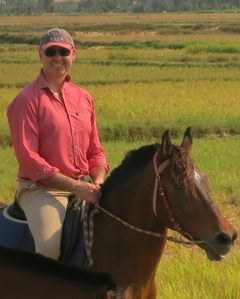 We welcomed this election as an acknowledgment of the efforts and the success of Ride in France in the promotion of horse riding tours in France. Our company is now the n°1 in riding tours for French riders all over the world, and we won the "Challenge du Nouvel Entrepreneur du Tourisme" (Prize for new Entrepreneurs in Tourism) in 1999. This prize is very important for us, as it is delivered by the APS, the organism which provides financial guaranty for travel agencies in France. Anne joined the team on April 2006. She has a diploma to guide horse trails (ATE). She worked for one of our guides in France. 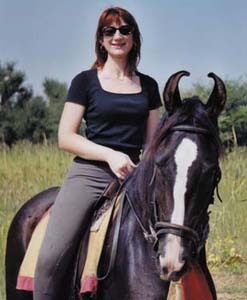 Her experience in horse riding trails allowed her to find her way at Randocheval. She'll be pleased to advise you about Provence and endurance rides in France. Julia uses to ride his horse through Savoy mountains, where she comes from. She started the year 2019 with us to advice riders for trails in South East of France: Savoy of course but also Provence! 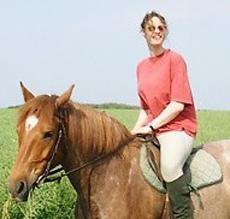 Laurie started on December 2010 to work in our classic tourism agency. However thanks to her passion for horses, she joined the Randocheval team in June. With her diploma, her experience in horse trails, and her numerous trips around the world, she'll share her abilities and knowledge with you. In France she's specialized in Jura and Vercors trails. Doriane is fond of riding since chilhood. after a very long trip in Oceania during 2 years, she finally join her team in October 2018 and takes care of your requests if you plan a trip in Normandy and Brittany. 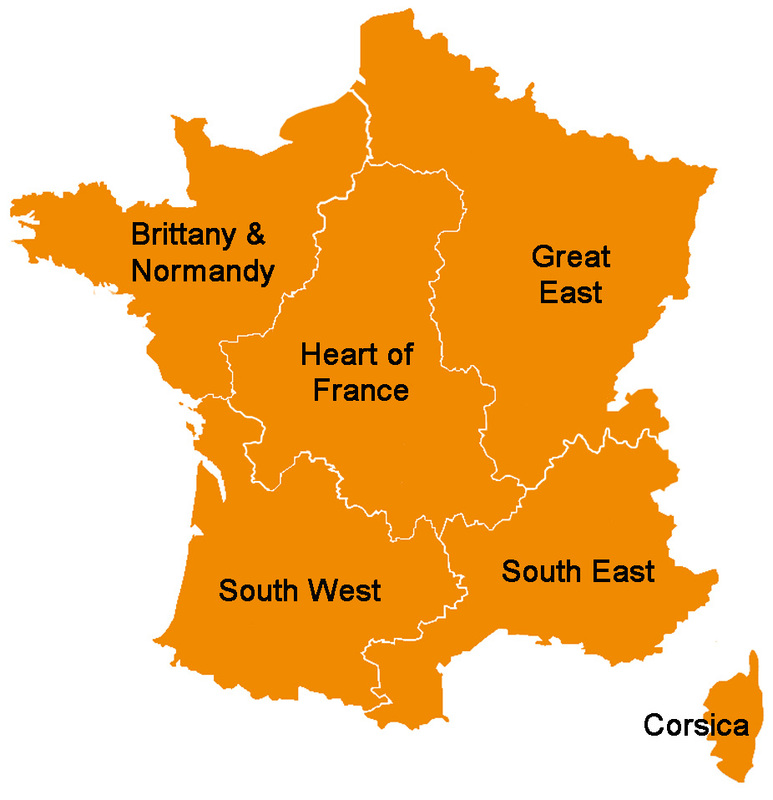 Rebecca is in love of nature.That's the the reason sh'e in charge of Corsica, Occitanie and Beaujolais/Auvergne. We are all in love with horses. So you are ensured to good advice! Randocheval is affiliated to the French Equestrian Federation. Important note: Most of our pictures come from our personal collection or were gracefully lent by their authors, or result from image banks free of rights. If however by mistake, one of the pictures used on this site turned out to be your property and was not free of right, we ask you to inform us immediately, so that they can be removed at once.